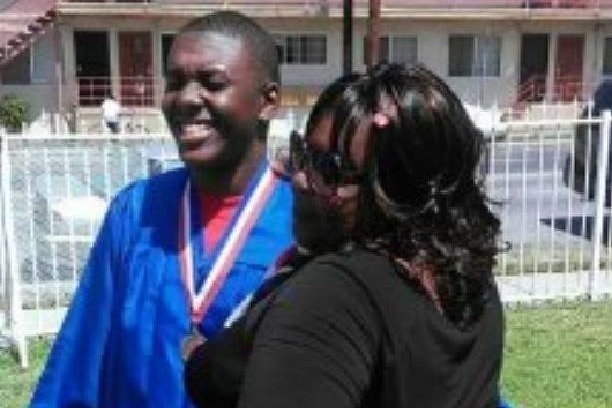 Fundraiser for Beverly Owens by Sahra Sulaiman : Frederick "Woon" Frazier's Son Needs Your Help! 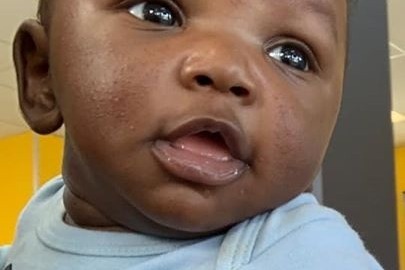 Frederick "Woon" Frazier's Son Needs Your Help! On April 10, 2018, 22-year-old Frederick "Woon" Frazier was violently run down and left to die in the street by a driver that has yet to face the consequences of her actions. 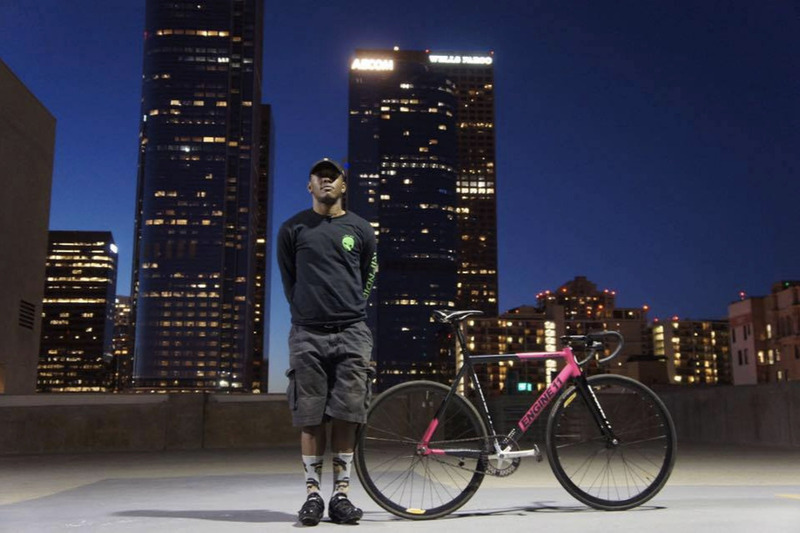 Woon started riding bikes several years ago and quickly became one of the most powerful riders in his crew. He had turned to bicycling to manage his diabetes - it was a way to guarantee himself and his mother that he would go on to have a long and healthy life. 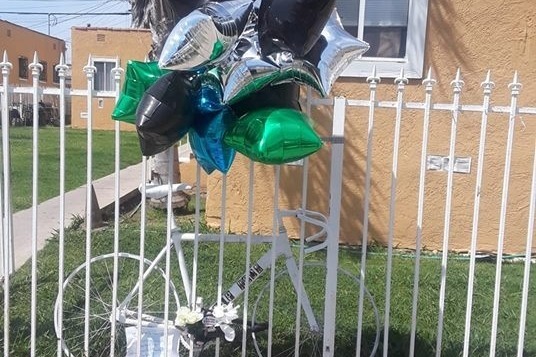 When he said good-bye to his mother and headed out on a training ride that sunny spring morning, he had no way of knowing that, just two minutes later, a speeding driver in a large SUV would come tearing up behind him in the gutter lane, smash into and snap off his back wheel, send him flying 30 or 40 feet in the air, and leave him broken and bleeding on the pavement. His helmet crushed, his bones shattered, his powerful limbs flung askew, his mouth open in a silent scream... he was gone in one horrifying instant. 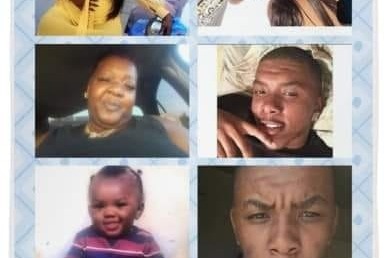 It was a devastating loss for his mother - he was her only son - and his friends, who remember him for his goofyness, big heart, loyalty, and strength. 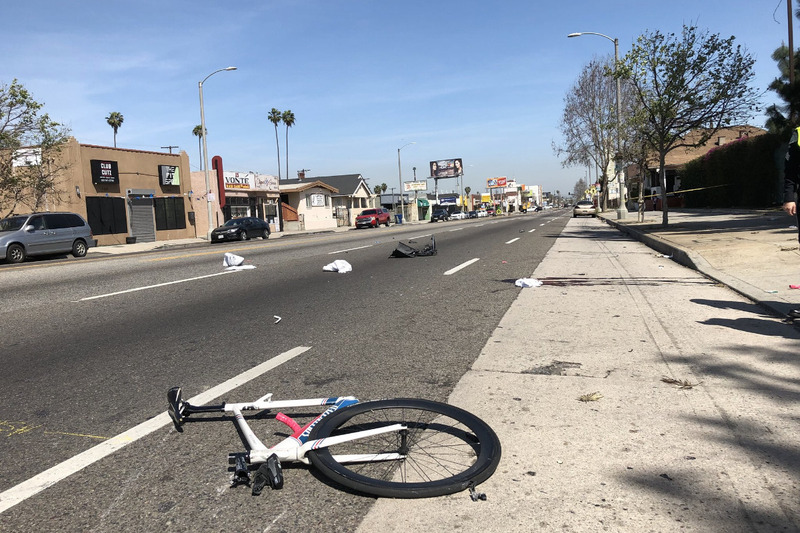 They have spent the past several months rallying to demand justice on his behalf and to create safer conditions for everyone who rides through this South Central neighborhood. Although the driver was finally apprehended in June, she was released within hours and has yet to be charged in Woon's death. 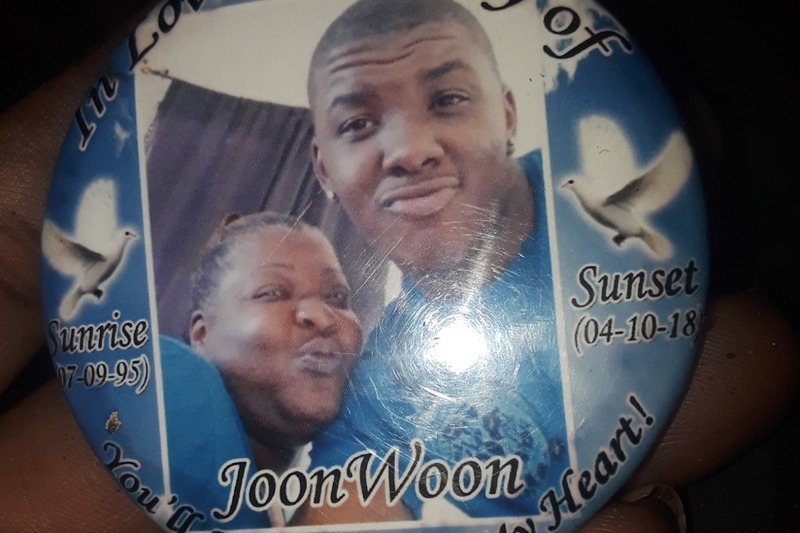 Speaking at a press conference at the time, Woon's heartbroken mother, Beverly Owens Addison, said she was relieved to know the driver had been found, but that there would never be closure. "There is no human language to describe the pain," she said. 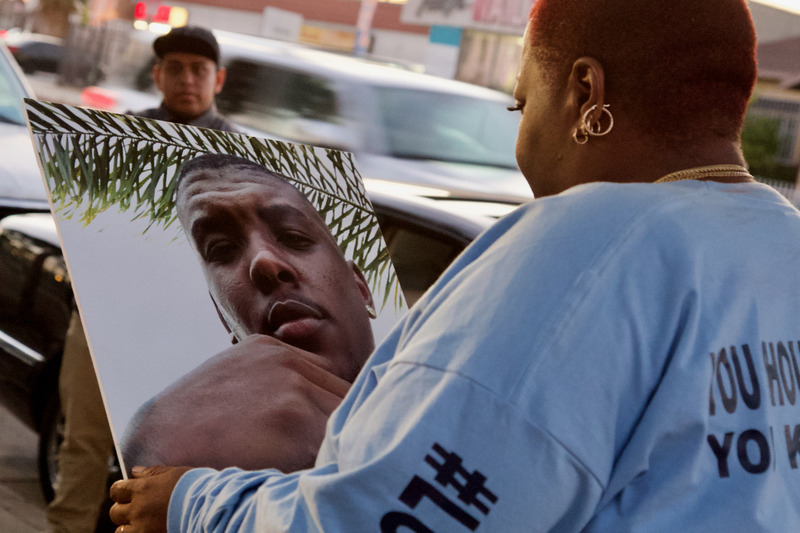 At a rally and vigil a month later, Owens Addison and her niece, Danita Lashay, held up a photo of Woon and talked about being made to feel like a nuisance by law enforcement. All they wanted were answers and a promise that there would be justice... and they couldn't seem to get either. 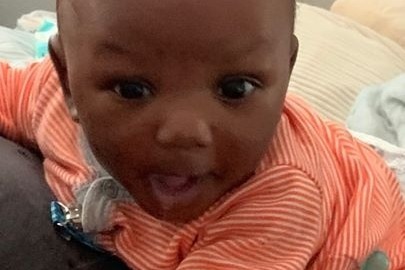 The only source of hope in all this pain has been the knowledge that Woon's son - Frederick Richon Frazier - is due to come into this world this December. But even this has caused the family some stress - the child's mother is ineligible for welfare and without Woon's income from his LAX job, they're worried about how they will pay any outstanding medical costs related to the birth and support this precious child. They are asking for your help in getting the child off to the best possible start this holiday season. Any amount is welcome and will be used to feed, clothe, and care for Frederick Jr. They send you their deepest gratitude in advance and wish you and yours all the best in the new year. I am so overwhelmed with emotion..lord God bless every hand every HEART..every momma and poppa..that have LOSS there child..gid bless my only #grandson....I love you jesus..please help my pain..help me UNDERSTAND..please bring JUSTICE...we need you God...thank you everyone..God bless you..we are LOSS WITHOUT #WOON...I miss you baby boy..I have cried 365 days..
God bless every heart..every hand.